Gallery gorgeous. This orchid’s canvas of Starlight White and Slipper Pink blooms is a masterpiece to behold. Anyone lucky enough to receive it will promptly and proudly display it in their office or home. 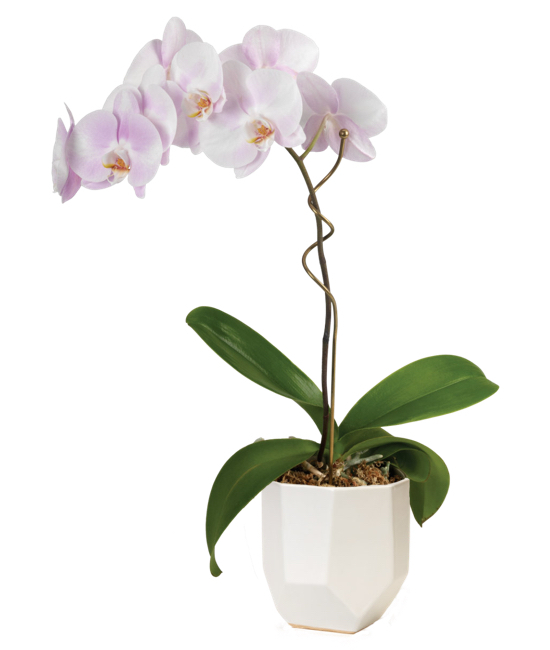 To highlight the smooth, soft petals, we’re showcasing the Phalaenopsis orchid plant in a white multi-faceted ceramic cachepot. 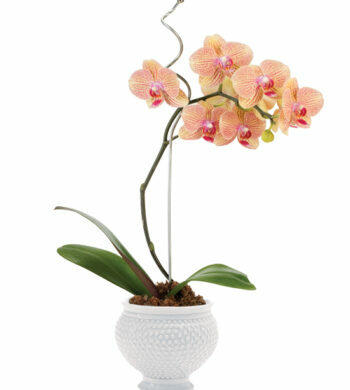 Place the orchid plant where it will receive low, indirect light. It will do best with temperatures between 59 to 79 degrees. 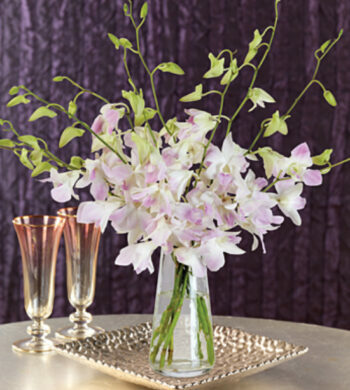 Keep orchid slightly moist, the roots should never be dry. 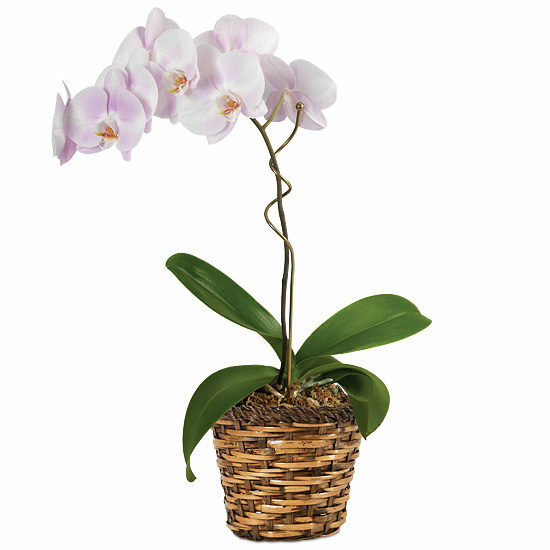 Take orchid out of basket or cachepot to water and drain once a week. These plants like humidity between 40-50%. Misting will help increase humidity. 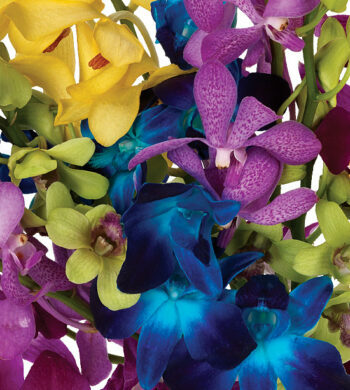 Fertilize once a month with a balanced orchid food at half strength. 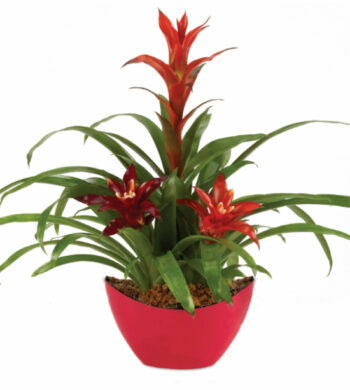 Do not fertilize while flowering.